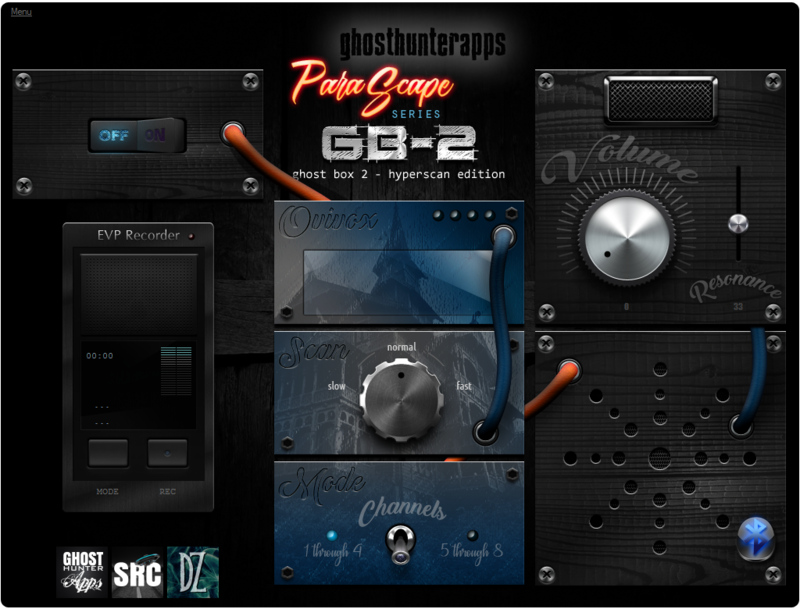 4/22/2019GHOSTHUNTERAPPS is all new and better than ever. A new year is finally here and a whole new crop of ghost hunters and ITC experts are looking to us for the best tools.What are you using to ghost hunt in 2019? People are quickly adapting the Q3 MK II to their toolset.The Q3 mark II gives the paranormal and ITC (instrumental trans-communication) researcher the POWER of boosted and 432Hz optimized audio channels. Each one operating one a separate engine backed by the new Q3 technology, the integral component of all Parascape Series apps. 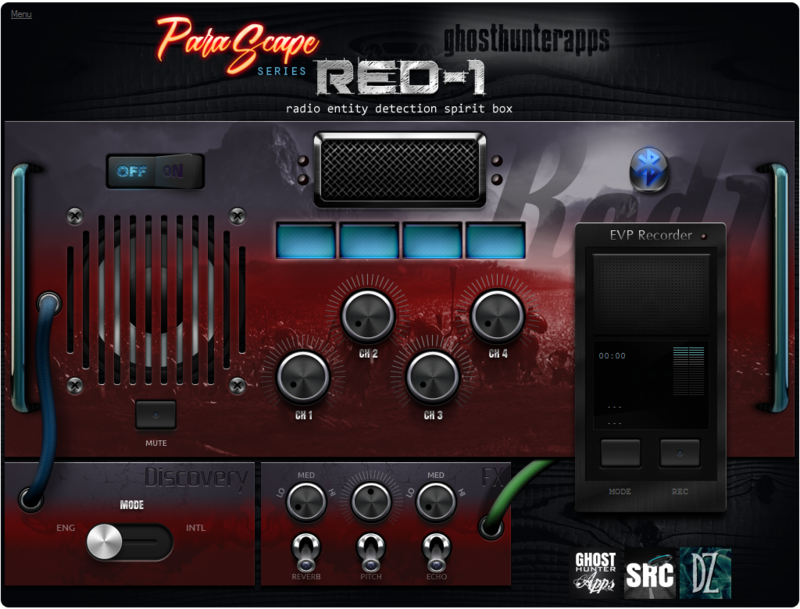 Why is the RED-1 hugely popular?The RED-1 is the first of a new line of Ghost Box/Spirit Box designs that utilize the Parascape Series GBE™ (Ghost Box Engine). This is something all new from Ghosthunterapps which is detailed here. 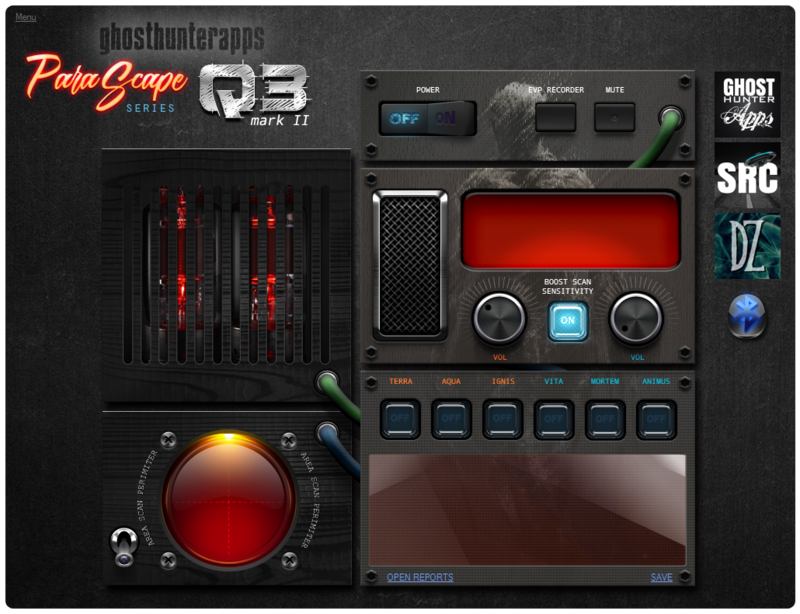 The new Parascape tools include the Q3MKII, RED-1 & the GB-2.The GB-2 is the first of a new line of Ghost Box/Spirit Box designs that utilize the Parascape Series GBE™ (Ghost Box Engine). This is something all new from Ghosthunterapps which is detailed (below) on this page. Right out of the gates the Q3 Mark II is indeed killing it. In 2018 it was a fan favorite as ghost hunters all around the world added it to their GHA arsenal along side the likes of the SCD2 and Minibox! We were extremely grateful that Steve Huff made an awesome video (down below - this page) showcasing THE POWER of this new amazing app. So please check out the amazing video to see what we mean. Oh, one more thing... What are you using to ghost hunt in 2019? 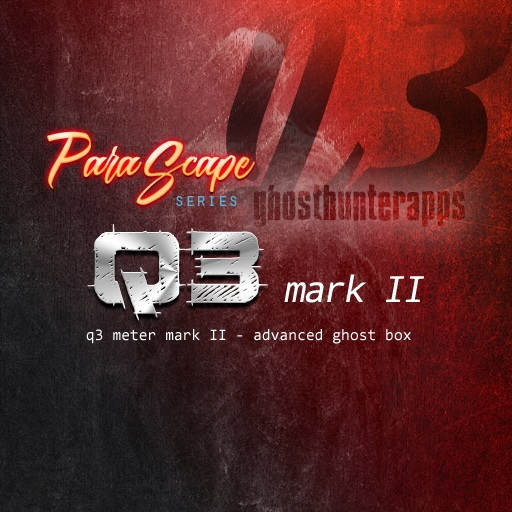 The Q3 Mark II (aka 'Q3 mark 2') is part of a new line of Ghost Box/Spirit Box designs that utilize the Parascape Series GBE™ (Ghost Box Engine). This is something all new from Ghosthunterapps which is detailed (below) on this page. The Q3 mark II gives the paranormal and ITC (instrumental trans-communication) researcher the POWER of boosted and 432Hz optimized audio channels. Each one operating one a separate engine backed by the new Q3 technology, the integral component of all Parascape Series apps. The RED-1 is the first of a new line of Ghost Box/Spirit Box designs that utilize the Parascape Series GBE™ (Ghost Box Engine). This is something all new from Ghosthunterapps which is detailed (below) on this page. 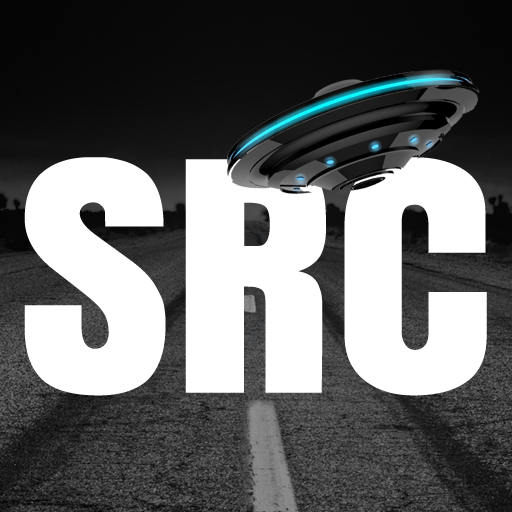 RED-1 gives the paranormal and ITC (instrumental trans-communication) researcher the POWER of four optimized SHOUTcast Internet Radio scanners. Four dedicated channels operating separate engines backed by the new Q3 Mark II™ engine, an integral part of the Parascape Series GBE™. Equipped with both INTERNATIONAL scanning mode and ENGLISH LANGUAGE scanning mode, the RED-1 is ready to deliver a steady stream of VOX interaction. the VOX output is enhanced by new Pitch, Echo and Reverb algorithms to enhance your paranormal experience. The GB-2 is the first of a new line of Ghost Box/Spirit Box designs that utilize the Parascape Series GBE™ (Ghost Box Engine). This is something all new from Ghosthunterapps which is detailed (below) on this page. GB-2 gives the paranormal and ITC (instrumental trans-communication) researcher the POWER of eight optimized audio channels. Each one operating one a separate engine backed by the new Q3 Mark II™ engine, an integral part of the Parascape Series GBE™. GB-2 comes equipped with three scanning modes, 432Hz resonance entity attraction, never before heard channels (1 through 4) and studio optimized legacy audio channels (5 through 8) to deliver a steady stream of VOX interaction. the VOX output is enhanced by new highly accurate HYPERSCAN algorithms to enhance your paranormal experience. This app takes inspiration from the Wonderbox, Steve's hardware masterpiece. It incorporates two vintage pedals along with the famous Panasonic RR DR60 IC Recorder that is the jewel of so many paranormal investigators worldwide. The SCD2 is a talker, this baby communicates and does what it was designed to do which is to allow for one on one direct communication to the other side. 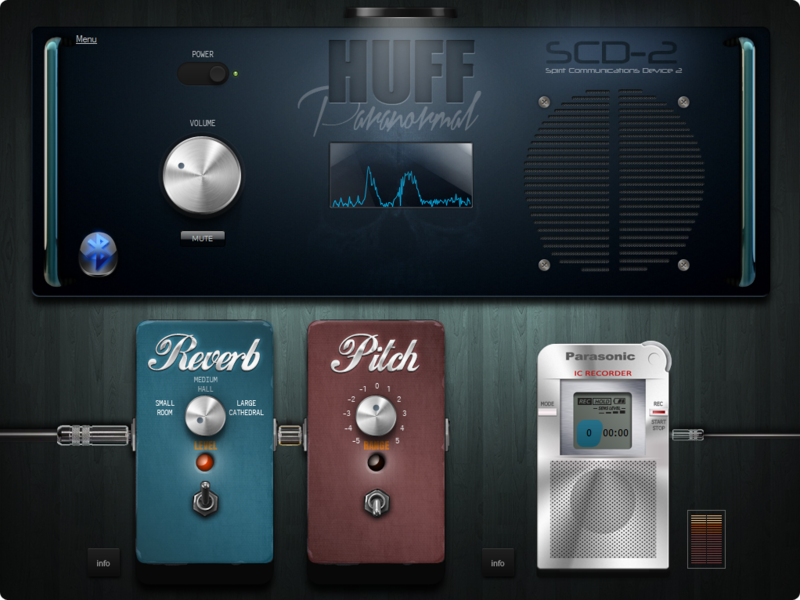 With both pitch and reverb effects plus a recorder embedded with advanced features, this app allows YOU to control the session.